PPC Advertising Archives | Young Marketing Consulting - Results. Not Buzzwords. Regardless of industry and size, almost every business can find value and see positive returns using Google AdWords. If you haven’t advertised using AdWords before, these eight reasons may convince you to start. Although this may be obvious, if your campaigns are set up properly, Google AdWords has the potential to generate significant numbers of qualified leads and greatly increase your revenue. It is estimated that, on average, businesses make $2 in revenue for every $1 they spend on AdWords. We’ve seen clients reach 400 to 700% ROI on their spend in just a couple months of advertising with AdWords. If your conversion rate is low, there’s a good chance your landing page isn’t user friendly or isn’t totally relevant to the messaging in your ad copy. Narrow your targeting: You have the option to choose what times and/or what days of the week you want your ads to show. You can also choose if you want your ads to show on mobile, desktop, and/or tablets. AdWords also lets you target by location. 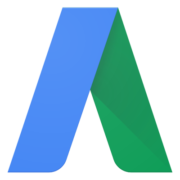 Whether you want to show your ads to people who are located within 6 miles of your brick and mortar store, or you want to target all French-speaking countries, AdWords lets you choose. Choose from various bidding strategies: To help you reach specific marketing goals, such as building brand awareness or generating leads, AdWords offers several different bidding strategies to choose from. Use ad extensions: Ad extensions allow you to include a phone number in your ad, an interactive store address, links to your site, and more. Leverage the Display Network: Not only will display ads expand your reach, but they are visual and contain rich media instead of just basic text ads. Choose specific keyword match types: By using keyword match types, you are able to dictate exactly what search queries your ad will show for. AdWords lets you set a maximum daily budget and maximum cost-per-clicks for your campaigns and keywords, so you’ll never go over budget. You can also set start and end dates for your campaigns, so you don’t have to worry about forgetting to turn off a campaign and wasting money. Keep in mind that AdWords itself is free, it’s a pay-per-click (PPC) tool meaning you only pay when someone clicks on your ad. If your competitors are using AdWords (and there’s a good chance they are), you may lose potential customers who are searching for your products and services on Google. And if your competitors aren’t using AdWords, that’s all the more reason to easily outrank their organic search result. Unlike SEO, which can take months of work to see results, AdWords provides instantaneous results. If your campaigns are set up well, the second you turn them on, your ad has the chance of showing above all organic results on a search engine results page. By using a special tracking code that places cookies in the user’s browser, AdWords will show your ad as the user browses the internet. This tactic helps keep your business top of mind so that you’re in front of your audience when they’re ready to purchase. Retargeting is particularly effective because you can target people who have shown interest in your product or service, instead of someone who has never visited your website or indicated any interest. In fact, according to a study from DataXu, retargeting has the potential to increase conversion rates by almost 150%. Many marketers believe retargeting is the most underused online marketing technology – don’t ignore the potential that retargeting campaigns offer. AdWords is a great tool for generating brand awareness in addition to driving traffic to your site. Display advertising and display remarketing are known to increase brand awareness because your audience will start to recognize and remember your brand after being exposed to the logo and other visual elements over and over again. With over 1 million advertisers using Google AdWords, it’s clear that the tool works. Feeling overwhelmed by AdWords? Let us help! Contact Young Marketing Consulting today for a free marketing consultation.